It’s time that we stop food wastage at our weddings. Starvation causes the most number of deaths in India. There is enough food to feed everyone in the world if the world's food supplies are divided equally. In fact, today the world produces 10 per cent more food than is needed to feed everyone. But still 30% to 50% of 1.2-2 billion tonnes of food produced around the world never makes it to a hungry child, and gets wasted. Indian weddings, which are popular for being extremely lavish have one major drawback, the food wastage that takes place. The wastage is heart-breaking to see in a country where millions of children sleep hungry every night. 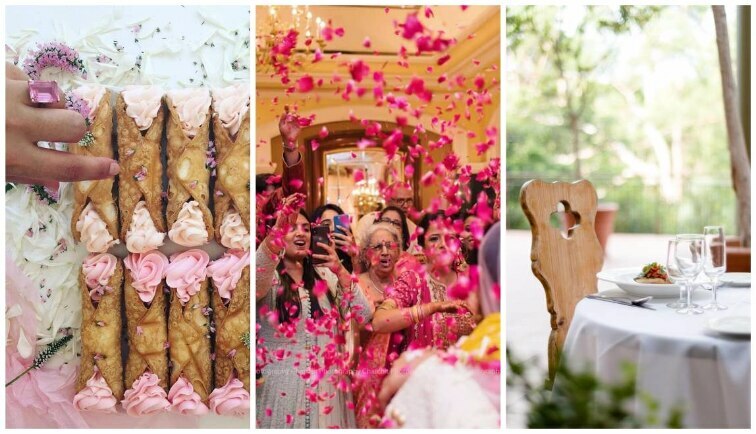 Here are a few steps you can take to reduce food wastage at your wedding. 1. Choosing the menu wisely – It’s very important that you choose a menu which is fit for your guests. Having an exotic menu for guests who have an extremely Indian palate can sometimes result in excessive left-overs. 2. Ask guests to RSVP – Guests in India don’t give much importance to RSVP-ing but it’s crucial that you let your guests know that you need an RSVP in order to estimate the right amount of food required. Catering becomes a dream when you have the right count of guests. 3. Right caterer – Choosing a caterer can be a complex task for your once-in-a-lifetime wedding and choosing one who has a good amount of experience handling food waste should be your priority.Some carters make sure that no food is wasted and the leftover does not go in the trash can. 4. Have a special kids section – You cannot expect kids to take proper servings and not waste food when their parents are not around. So, you can have a special section for kids and have servers help kids serve the right quantity so that there is no wastage. 5. Tie up with an NGO – There are a lot of NGOs, which are working to curb food wastage. So, get in touch with an NGO which is available to help you take care of the leftovers and stop the food from going into the bin. 6. Hire the right staff – Hire servers who ensure leftover food on a guest's plate doesn't go into the dustbin. 7. Avoid buffet system – Having a formal sitting meal can be a little complicated but if you have a limited number of guests and a good budget, then avoiding a buffet is the ultimate solution to eliminate food wastage. 8. Spread the word – Telling your guests not to waste food or take the right serving can be a bit impolite. So, you can have little messages printed on the napkins or have messages placed near the dining area or inside the washrooms.